In the leadership training session held in 21st to 22nd August 2012, our F.5 students together with the new teachers, learned how to apply the 16 Habits of Mind in their learning and teaching. Having had the HOM leadership training workshop in June, the F.5 students put what they have learnt into practice by arranging training programme for F.1 to F.3 classes. 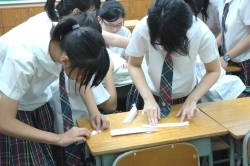 The students made use of two form periods on 19th-20th September, 2011 to introduce the idea to the junior form students through games and interesting activities. Both the junior form students and the trainers, the F.5 students enjoyed the training sessions very much and found that they had learned a lot from it. 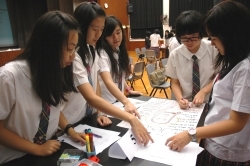 On 23rd June, 2011, our F.4 students gathered together in the Leighton Hill Community Hall for the leadership training programme. 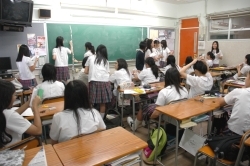 They learned how to apply the 16 Habits of Mind in their role as the young leaders since some of them will be elected as the school prefects in the new school year. Having had the HOM leadership training workshop in late August, the F.6 students put what they have learnt into practice by arranging training programme for F.1 to F.3 classes. 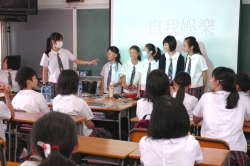 The students made use of two form periods on 13th and 14th September, 2010 to introduce the idea to the junior students. 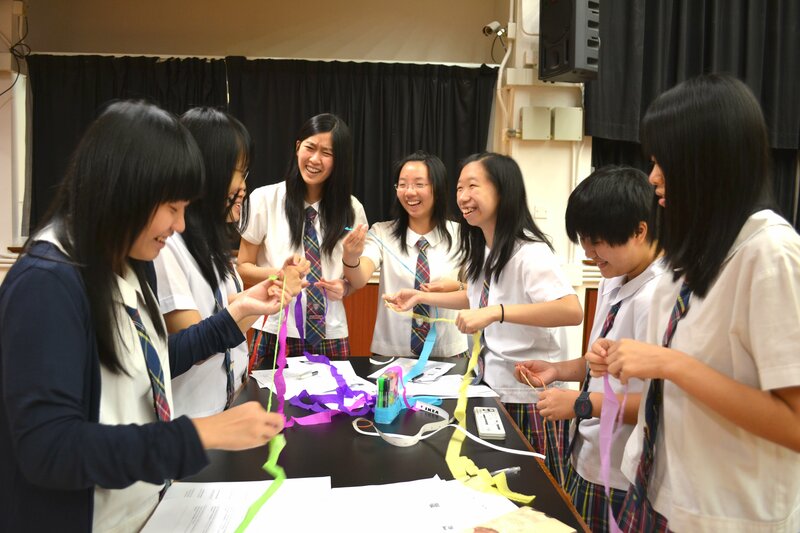 All students participated actively in the activities which they found interesting and fruitful. 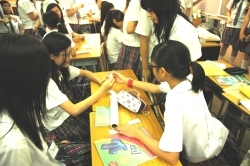 F.6 students also reflected that they enjoyed organizing the programme which provided them with opportunities to employ the skills they learnt in the Habits of Mind. 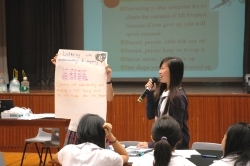 On 25th to 26 th August, 2010, our F.6 students together with the new teachers had the leadership training programme in our school hall.They learned how to apply the 16 Habits of Mind in their role as the young leaders as well as in their learning. After joining the HOM leadership training workshop in late August, the F.6 students have arranged training programme for F.1 to F.3 classes. 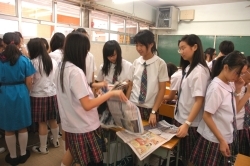 The students made use of two form periods in 17th-18th September, 2009 to introduce the idea to the junior students, especially the F.1 students who are new to the practice. 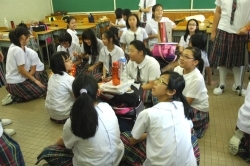 All students participated actively in the activities which they found interesting and fruitful. F.6 students also reflected that they enjoyed organizing the programme which provided them with opportunities to put into practice the Habits of Mind. In the leadership training session held in 25th to 26th August, 2009, our F.6 students together with the new teachers, learned how to apply the 16 Habits of Mind in their learning and teaching. 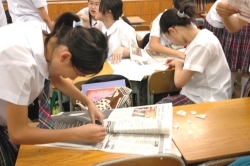 The seminar on "Habits of Success in School, Work and Life" was held on 9.12.2008 at 6:30 p.m. in Room G7 of St. Paul's Convent School. And we were greatly honoured to have invited Professor Arthur Costa to deliver the enlightening and interesting talk on "16 Habits of Mind". 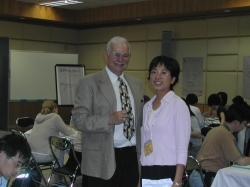 Professor Costa is the Professor Emeritus of California State University and Co-Founder of the Institute for Intelligent Behavior, El Dorado Hills, California. 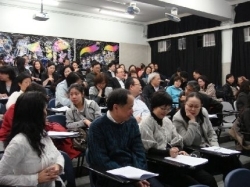 Over 100 participants attended the seminar. During the presentation, Professor Costa provided us with many useful tips and practical illustrations on how to help our daughters develop the patterns of thinking and behaviour that lead to success in school, work and life. 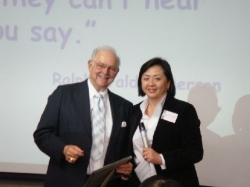 His lively presentation, humorous descriptions and vivid demonstrations had impressed us most. 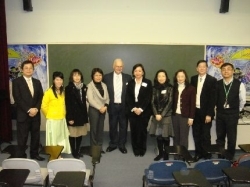 Professor A Costa and his colleague, Ms Sue Presler conducted a Parents’ Seminar on "Listening with Understanding and Empathy" to over 100 of our parents on 12 December 2007. All new teachers attended the Habits of Mind workshop in allowing them to have a better understanding on how to infuse the 16 habits of mind into their daily teaching. Habits of Mind Workshop sponsored by the Quality Education Fund was held on 15-16th December, 2005 from 2 to 5 p.m. Click here to view the training materials. Here are some snapshots of it. Enjoy! 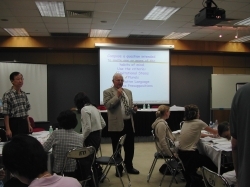 Joint-School Staff Development Day for Secondary Schools in Wanchai District was held on 13th December, 2005. Teachers attended seminar on "The Power of Thinking" and "Infusing Thinking Across the Curriculum" conducted by Professor Arthur L. Costa and, " The Impact of Cutting-edge Pedagogy in Learning and Teaching Scientific Approaches of Brain-based Learning and the Habits of Mind" and "Interactive Dialogue in Brain-based Learning and Teaching Strategies for Dynamic Learning" conducted by Mr. Ricky Chan. Here are some snapshots. Enjoy! Seminar for Parents on Habits of Mind sponsored by the Quality Education Fund was held on 13th December, 2005. Click to view the details and seminar materials. 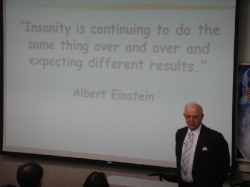 Towards the end of the academic year 2002-2003, Professor Arthur Costa, Emeritus Professor of California State University, Sacramento, introduced to us 16 types of intelligent behaviours called 'habits of mind'. 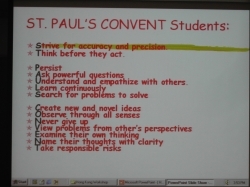 These habits will aid Paulinians to perform well in school and everyday life as they encourage life's challenges. 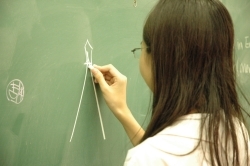 Habits of mind encourage thinking skills essential to all school activities and lifelong self-direct learning. Mrs.B. 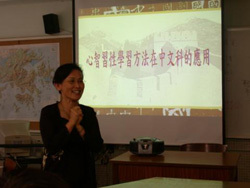 Tai giving a presentation on the application of HOM in teaching Chinese Language. Mr. T.K. 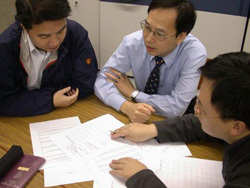 Yam giving suggestions regarding the application of HOM in teaching during a discussion. 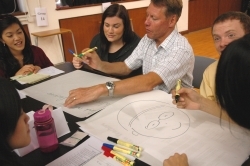 In response to Professor Costa, a series of activities had been organized for both teachers and students alike in the hope of training their communication skills as well as their ability in thinking across the curriculum. In a series of HOM lessons organized by the school, teachers were divided into different groups for discussion and presentation of different HOM concepts. 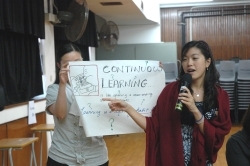 Through these activities, teachers gained greater understanding and learnt how to apply the HOM concepts in their teaching. 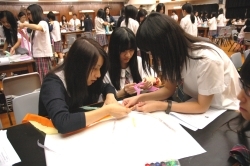 To introduce the HOM concepts to Paulinians, workshops were held in every August before the new term began for all Form 6 Students starting from 2003. Through various games, the Form 6 students, who were divided into groups, were able to familiarize themselves with 1 of the 16 HOMs. 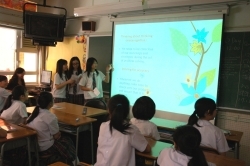 During the school year, each group organized a lesson for one of the lower form classes to introduce their HOM to the younger Paulinians. Each class then had to design a bulletin board showing their understanding of what the Habits of Mind are about. This not only allowed students to learn the HOMs interactively, but also promoted unity and a sense of belonging among all students. 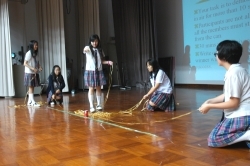 Paulinians succeeded in using two pieces of strings to hold up a can. Paulinians are discussing among themselves. 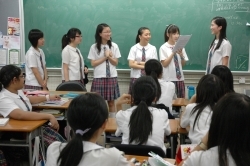 After a series of learning activities, our students started to apply what they had learnt to several major school functions, such as the Drama, the Debating and the Dance Competitions by persisting in face of obstacles, thinking flexibly and applying what they had learnt in the previous years to present situations. 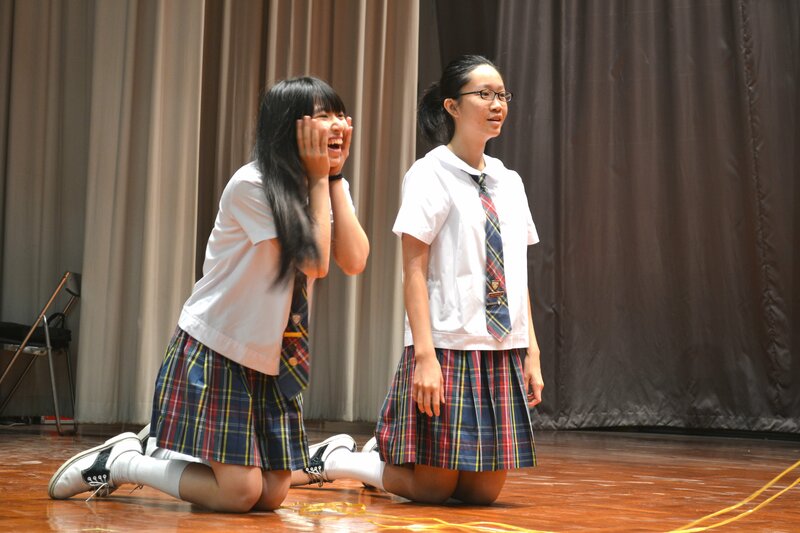 We hope that they will continue to apply the HOMs to show their school spirit, 'Being all things to all People'. 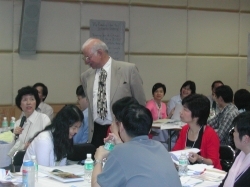 Sister Margaret Wong and all her staff attended a school-based thinking workshop run by Dr William Wu from HKBU on “ Whole-Brain Learning” and “Teaching of Thinking” in our school hall on 27 August 2003.